Tolkien – From the end of bag. From the end of bag. Fan of hobbits, books, and musicals. I don’t know if this even needs saying but BOTFA SPOILERS AHEAD! Last month I published a post of my very first thoughts for The Hobbit: The Battle of the Five Armies which you can read here. Last week I saw BOTFA for the fourth time and now I feel like I should do an updated post on what I thought about the film, so here goes. 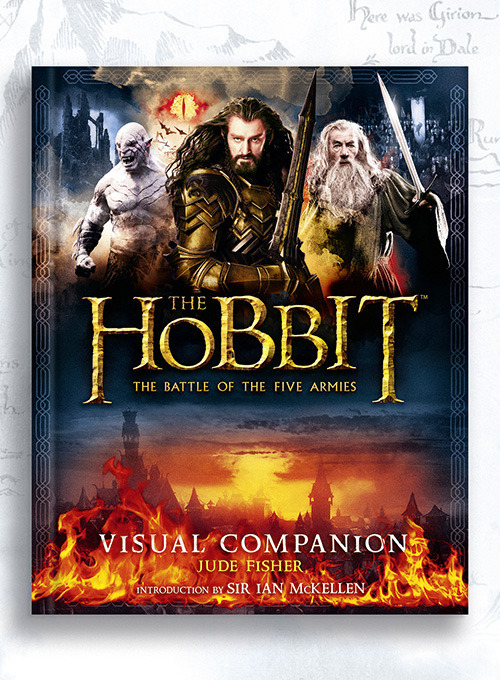 All of the covers for the Battle of the Five Armies movie have been revealed and I’m feeling pretty psyched for them. I don’t plan on buying all of them, I mostly just want the chronicles book. Information and photos on the art and design? Yes please! I gotta say though, out of all of the Hobbit movies, I am digging the covers for BOTFA the most. Let’s go through them one by one. Photos courtesy of the HarperCollins design Tumblr. I just saw what the special figure for DOS will be and I am feeling very underwhelmed to say the least. 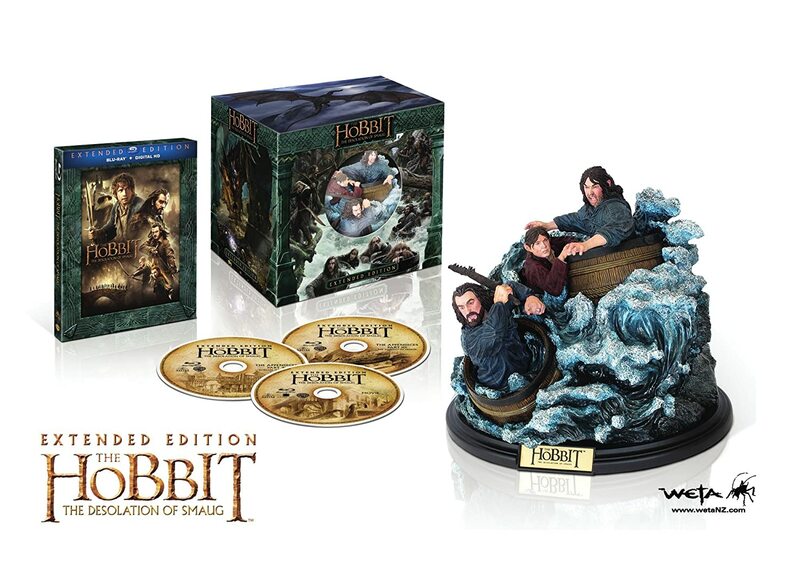 Don’t get me wrong, the craftsmanship is beautiful, just what you expect from Weta, but the subject matter? I’m not really feeling it. I was one of the people who enjoyed the barrel scene, it was so ridiculous and funny that I couldn’t not like it. Bombur taking out orcs while stuck in a barrel and Legolas playing hopscotch on dwarf heads? Too good to scoff at. Even though I liked the scene, I don’t consider it that big of a moment to make it the special addition to the DOS EE. I was hoping for something Mirkwood related or you know, Smaug. Smaug would have been awesome. Hell, something Bard related would be cool too! I like to look at the barrel scene as the “video game moment” for DOS. In AUJ it was the escape from Goblin Town. It looked like a video game, I’m just saying. I wonder what it will be for BOTFA. I’m getting off topic. Right, the figurine. It’s very nice, but not something I would have expected to be with the sepcial DOS EE set.